I am extremely skeptical of the idea that subliminal messages exist in rock 'n' roll songs. First of all, many rockers have a hard time putting direct messages into their songs, and secondly, many listeners who claim to hear these messages have used drugs and alcohol so much that their brains are considered "fried." I have heard that if Led Zeppelin's "Stairway to Heaven" is played backwards, then the listener will hear the ominous words "my sweet satan." Ooh, that's scary, but it's just a goofy idea. So for a lot of my life, I have assumed that finding subliminal messages in songs is poppycock - until I had a recent urge for White Castle. Yesterday, all of a sudden, I yearned to consume greasy sliders from White Castle. But here's the problem: No White Castles exist in California. Yikes! I could have gone to the grocery store, bought frozen White Castle sliders and eaten them. However, that plan sounded ridiculous and unfulfilling. 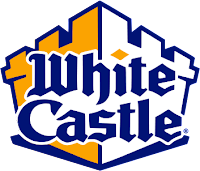 Being the pensive gentleman I am, I instead tried to figure out why I had such an urge for White Castle, and I realized why: I had been listening to the Beastie Boys' "Licensed to Ill."
"I got a girl in the Castle and one in the pagoda. You know I got rhymes like Abe Vigoda." (Posse in Effect). No less than three and a half White Castle references are in one 44-minute album. Eureka! Technically, those are not subliminal messages. However, this whole White Castle urge after listening to "Licensed to Ill" has made me more open-minded to subliminal messages in rock songs. 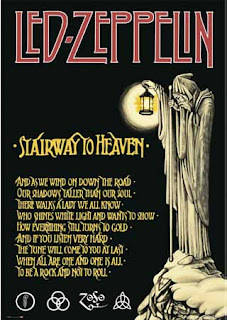 The next time I listen to "Stairway to Heaven," if I have an urge to wear a red jumpsuit and hold a pitchfork, then I'll definitely be onto something. Dammit, now I want White Castle. from White Castle to the Nile"